Thailand border runs or visa runs are often a popular talking point among tourists and expats wanting to stay longer in Thailand and border runs to Myanmar are easily done from towns such as Chiang Mai in Northern Thailand. It can be done in one day and involves doing a land border crossing, at the border town of Mae Sai, Thailand into Tachileik, Myanmar. When we were travelling in Thailand, we first entered on a 30 day Visa Exempt entry stamp and after our one month extension of this stamp at Chiang Mai Immigration Office, we then had two options, either a Visa Run to apply for a 60 day Tourist Visa or a Border Run to get another 30 day Visa Exempt entry stamp. First of all, I want to establish that this is a Border run from Chiang Mai not a Visa Run. Often these two phrases get used interchangeably but they are two very different things. A Border Run is when you literally cross the border into another country, turn around and come back in on another Thai Visa Exempt entry stamp or a Thai Visa on Arrival. This can be done in the same day and is the quickest and cheapest option. A Visa Run is when you leave Thailand and apply for a Single Entry Tourist Visa (SETV), or Multiple Entry Tourist Visa (METV) at a Thai Embassy or Consulate. The application process takes two days usually, (sometimes longer with other visas) so you have to stay in that country until it’s been approved. This option obviously costs more and takes longer. Chiang Mai to Myanmar is a Border Run, you are not able to apply for a Single Entry Tourist Visa at a Thai Embassy or Consulate in Tachileik, Myanmar. Also keep in mind you can only do TWO 30 day Visa Exempt entries by land in a year. We had a house sit starting in Bangkok in a couple of weeks right when our visa ran out, so we decided to do a border run crossing from Chiang Mai in Thailand to Myanmar. This is the quickest and cheapest border run and involves crossing the border from the town of Mae Sai, Thailand into Tachileik, Myanmar. You get stamped out of Thailand at Mae Sai, enter Myanmar at Tachileik and then get stamped back into Thailand on a new 30 day Visa Exempt entry or a new Visa on Arrival – all in one day. Here I’ll show you step by step, how to do this easy border run from Chiang Mai into Myanmar and back again, overland by bus. It’s by far the quickest option because it’s all done in one day and the cheapest border run too as it doesn’t involve any flight or accommodation costs. First of all, let’s look at the transport. The easiest way to do this border run from Chiang Mai to Myanmar is to go by Green Bus from Chiang Mai to the border town Mae Sai, then cross the border on foot into Tachileik, Myanmar. The bus we booked our trip with and also recommend, is the Green Bus Thailand Company. They are the main buses used in Northern Thailand for getting between the major towns or cities, they have a good reputation, Thai locals use them as well as tourists and they are very used to tourists doing these border runs. 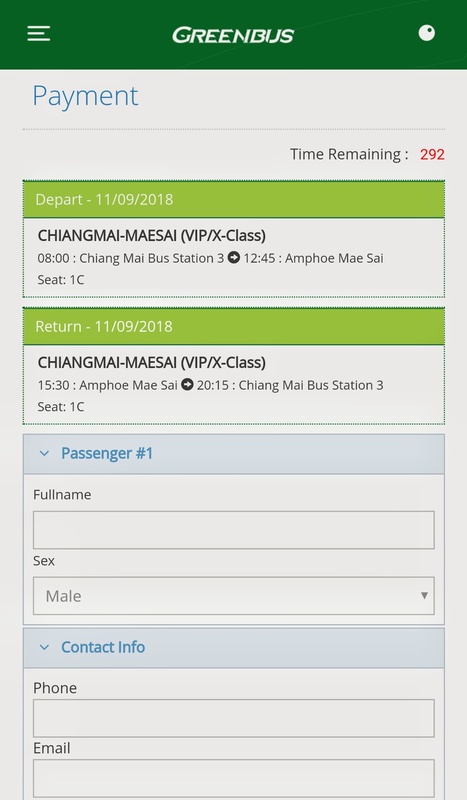 You can book your ticket at Chiang Mai Arcade Bus Terminal in person although the easiest way is to book your ticket online using the Green Bus website or app. You can pay online using credit card, debit card, bank transfer or you can reserve seats and pay at a 7-11 over the counter – you usually get 2 hours from booking to make payment. Your 7-11 receipt will be your bus ticket. I recommend paying a little extra and booking the VIP/1st class seats at the front of the buses, they have more room and it makes the journey more comfortable. 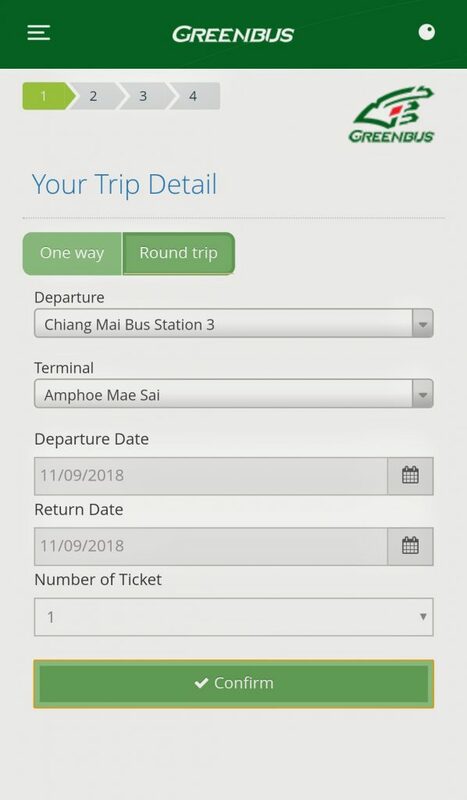 When you’re booking your trip on the app, you’ll be asked to select a departure journey and a return journey and you’ll be given a choice of different times. This is very important when booking –make sure you leave enough time to cross the border into Myanmar and stamp back in to Thailand, when you’re selecting the return journey time. And be aware there is 30 mins time difference between Myanmar & Thailand – Thailand is 30 mins ahead of Myanmar. 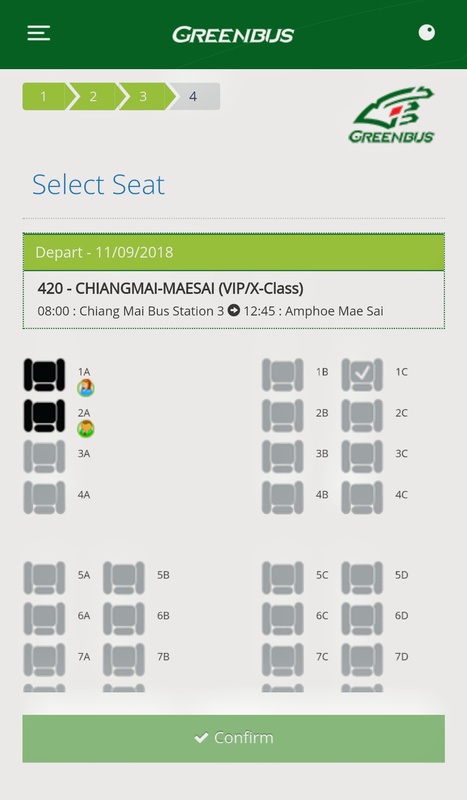 (It’s around 5 hours journey each way, so we selected a 07:15 departure and 15:30 return which would give us 3 hours to cross the border and re-enter Thailand – which is usually more than enough time. We weren’t aware of the time difference of 30 mins and we got caught in a big queue stamping back into Thailand, so this is why it’s a good idea to leave enough time for potential delays). On the day of the border run we were staying in the Nimman area of Chiang Mai, so we got up early and allowed enough time to book a Grab taxi, to get us to Chiang Mai Arcade Bus Terminal in time for our 07:15 departure. Our bus departed from Terminal 3 which is standard for the Green Buses going to Mae Sai. Most Grab or taxi drivers will know where the bus station is in Chiang Mai, if they’re unsure, tell them you’re doing a border run to Mae Sai by Green Bus and they should understand. 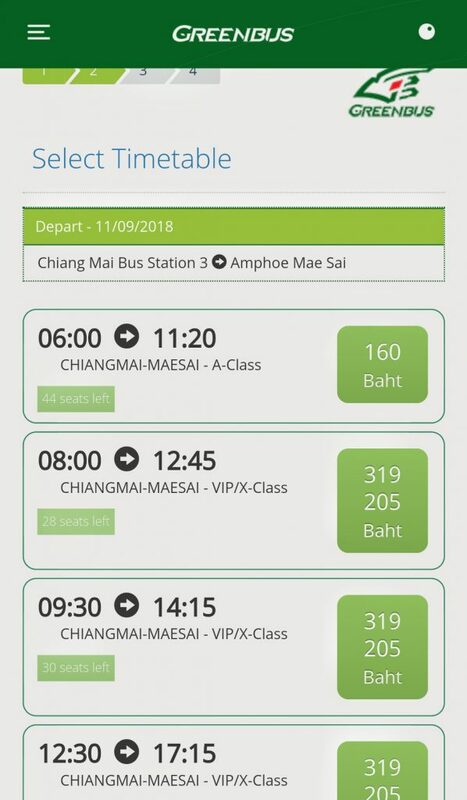 When you arrive at the Chiang Mai Bus Terminal, check with the Green Bus counter where your bus leaves from, print off tickets if you need them and go queue up for boarding. The actual Green Buses themselves are pretty comfortable and reasonable for the price you pay. Inside they are spacious, have air conditioning and the seats are reclining pleather seats with head and foot rests. The VIP/1st Class seats are the first four rows and they have lots of extra leg room and plenty of room for a couple of small backpacks plus legs. On the downside, there isn’t any WiFi, there are no charging ports and sometimes there aren’t any toilets on the bus. The air conditioning is set on turbo all the time so take a jacket or jumper, you’ll be so glad you did – it was freezing on our bus. We also took our Anker portable power pack along with us, in case we needed to charge our phones, as it was such a long day. I would also recommend some mosquito repellent on the legs as a couple of rogue mosquitoes found their way on our bus and were lurking around our ankles. Before leaving the drivers assistant does a head count and hands out free bottles of water and a pastry each to everyone. We departed on time at 07:15. The journey from Chiang Mai to the border town of Mae Sai is around 5 hours each way, including all stops. There are a few stops on the way but there is only one proper rest stop halfway, where you have time to use the facilities. So definitely take food and snacks with you, because there will be no cafes or 7/11 stores until you arrive in Mae Sai. We took wrapped sandwiches and sushi for breakfast/lunch and some bananas, almonds and chips for snacks plus bottled water. We probably spent around 300 THB on food /snacks for two people to take with us. Two hours into the journey is a 10 min stop at Chiang Rai Bus Terminal, where any new passengers get picked up and you have time to go use the bathrooms/toilets and buy food or drinks. It is only a 10 min break and the schedule is tight, so before you wander off, ask the driver how long you have on the rest stop. At Chiang Rai Bus Terminal there are toilets and a few Thai snack food stalls but no significant food sources and I didn’t spot any coffee places either, although there might be an iced coffee stand hidden in the back, I just can’t guarantee it. The journey is mostly road through standard Thai jungle and we didn’t see any landmarks or attractions that are noteworthy, just plenty of northern Thailand scenery. On our bus, there were a few more short stops, a couple were to drop off cargo (a service Green Bus Thailand also offer) and a couple of stops were for security checks, where Thai police board the bus and sometimes check ID’s but nothing to worry about. When you arrive at Mae Sai, the Green Bus will stop at Mae Sai Bus Terminal, we arrived at 12.35pm. Take your bags with you as you may not always get the same bus on the return journey. When you exit the bus, go over to the car park and you’ll see many Songthaews or red trucks parked up there. If you go over, the drivers will see you and ask ‘Border?’ These are the red trucks that will give you a ride to the actual Mae Sai/Tachileik border and you’ll probably see other tourists or expats doing the same thing. It cost 30 THB for both of us to go the border. It is around a 15-20 min journey by red truck to the border, dependent on how many people it drops off or picks up on the way. The red truck will drop you off right at the Thai border gate, which you then cross yourself on foot. Tip: If you want to pay the Myanmar border fee in USD, there is a gold shop that will exchange Thai baht for US dollars, on the left at the Mae Sai side of the border gate. Walk through the border gate and join the queue for getting stamped out of Thailand. Have your passport ready for your departure stamp and have your departure card already filled in. It’s a simple and quick process to get stamped out of Thailand. Now that you’re officially stamped out of Thailand, you just need to do the border crossing into Myanmar. So continue walking through and out of the Thai-Myanmar border gate on the left side, and you’ll walk onto a bridge. Once you’re on the bridge, cross over the road onto the right side, (you should see an ‘In’ sign on the gate), so you can be stamped into Myanmar. You’ll then walk through the official Myanmar border gate and the Myanmar Immigration office is on your right (you should be on the right side of the road by now). There weren’t really any proper queues or obvious directions, so we just kept slowly walking and eventually an Immigration officer waved us into a small office. Walking into Myanmar through border gate – cross the road to the right side – where it says ‘In’. 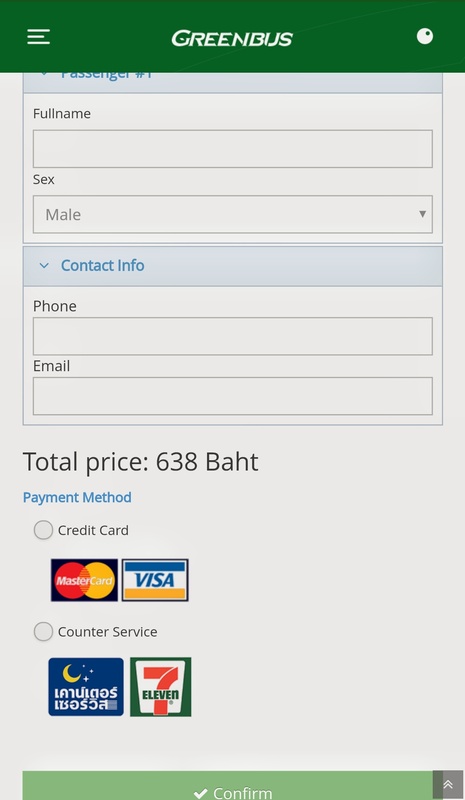 The Immigration Officers will ask you for your passport and a payment of 500 THB (or $10 USD) each, this is the Myanmar border fee. If you are paying in USD, make sure your notes are clean, crisp and new when you get them exchanged or they will not be accepted. Then they ask you if you are staying in Myanmar or just shopping for a few hours. If you’re staying a night or more in Myanmar, just tell them how long you’re staying and where. If not and you intend to just cross the border and then re-enter Thailand, just say you’re shopping for a few hours. It is well-known that Thai tourists do this border run and they will understand what it is you’re doing. They just have to make sure they’re giving you the right type of entry visa. The Immigration Officer will then give you a Day Entry Permit slip that allows you into Myanmar and tells you that you can pick your passport up on the way out, from the Immigration Office on the other side of the bridge. This will be the side you exit Myanmar from when you get stamped out. I initially didn’t like this as I get really twitchy when someone has to keep my passport, but they assured me it was official procedure and that our passports would be returned to us when we leave. (And they were). Keep the Day Entry Permit slip they give you, so they can match it to your passport when you pick it up. Now walk out of the office and keep walking to the end of the bridge and you’re officially in Myanmar! There is a border market and a few cafes around the vicinity of the border but there’s not much else to see, without going further into Tachileik. As our bus left in a couple of hours, we intended on just having a walk around the border market for 30 mins then walking back into Thailand. We spotted a cafe called The Circle Cafe and went to hang out in there for a while, they have great iced lattes, a bathroom and they do accept Thai baht as payment, as do most places in the surrounding border market area. Now after you’ve looked around, done some shopping or done whatever you did in Myanmar, it’s time to re-enter Thailand and get that brand new Visa Exempt entry stamp or Visa on Arrival that you came for. Start walking over the bridge on the right side (left side was the side you came in on). On your right will be a small Immigration Office, go in and hand in your Border Day Entry Permit slip and have your passport returned to you. Then keep walking along the bridge on the right side, back to the Thai border gate. Stamping or entering back into Thailand – walk back through the Thai border gate on the right side. If you’re entering on another Visa Exempt entry stamp or Visa on Arrival, you will need another Thai Arrival/Departure card filled in, you’ll find them in the booth or ask someone for one. Then join the queue on the left side (for non-Thai) and wait your turn. This queue will probably move a lot slower than the other queues you’ve been in. We were in it for almost an hour, this is why it’s so important to leave enough time for delays, when you book your Green Bus journey. Note: You’ll see a sign at the immigration counter stating that everyone entering Thailand on a Visa Exempt Stamp or a Visa on Arrival, must be able to show proof of funds in cash if asked. We weren’t asked to and as of the current rules you won’t be asked either, because IF you’re only doing a border run like we did – stamping out of Thailand, into Myanmar and back into Thailand – you won’t be asked to show proof of funds. When you reach the counter, hand over your passport for a new Visa Exempt entry stamp (or your passport together with your Visa on Arrival form), your photo is taken and your passport is stamped and handed back to you. TIP: Often the Immigration Officer will show you the stamp when handing your passport back but if they don’t, check the stamp has been given for another 30 days before you leave the queue. Go back and ask if you can’t see it. Then walk on through to the security area, where you’ll have your bag scanned, pick it up on the other side of the scanner, walk through the Thai border gate back into Mae Sai, Thailand and you’re all done! YAY. We were running late so as soon as we hit the street in Mae Sai, we jumped on the nearest red truck going to the Bus Terminal and got going. The ride from the border gate back to Mae Sai Bus Terminal was 30 THB for both of us. So depending on how much time you have left, make your way to Mae Sai Bus Terminal, most red truck drivers will know where it is. Once there, make sure you’re getting on the right bus, preferably a bus bound for Chiang Mai. You might be asked to show your ticket or booking number to board but as we were running late, we just got a nod from the driver who knew there’d been a delay at the border and gratefully jumped onto the waiting bus. The return journey is pretty much the same, there are a couple of security checks, a 10 min rest stop at Chiang Rai Bus Terminal again and some passengers get dropped off earlier in the journey. Other than that, it’s the same deal on the way back. Arrived back into Chiang Mai Arcade Bus Terminal – 08:30pm – making journey total – 5 hrs. We jumped off the bus and then booked a Grab taxi straightaway to take us back into the Nimman area of Chiang Mai, so we could get to Maya Mall food court before it shut. Priorities when you’ve been surviving on bus snacks all day! It was a looong day but so worth it for extra time in the Land of Smiles.